It has been a wonderful week to be a Grandma and to be the Cat in the Hat! But I have to start at the beginning. A few months ago, the Santiago PTA received a $5000 Toolbox Grant from Lowe’s. The grant was awarded to create a Super Reader School at Santiago. 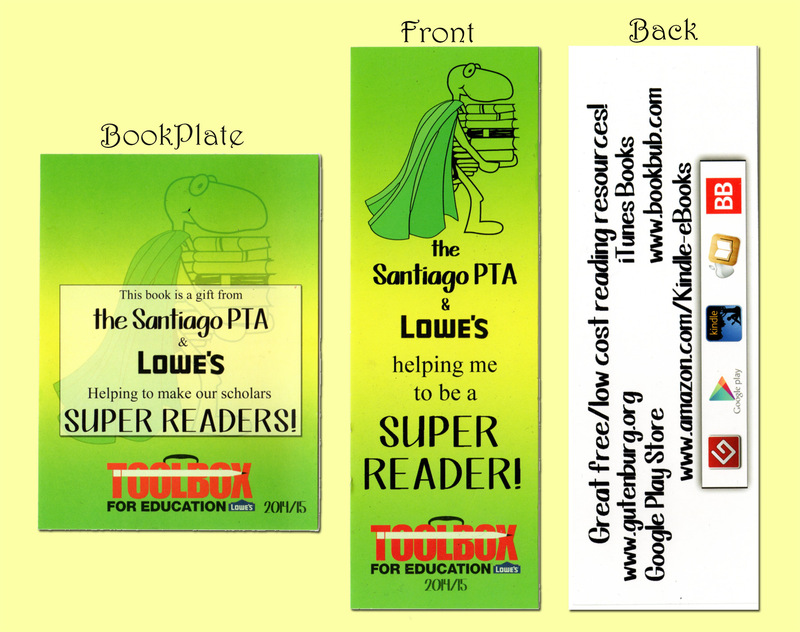 I have been lucky enough to be on the Super Reader Project committee! 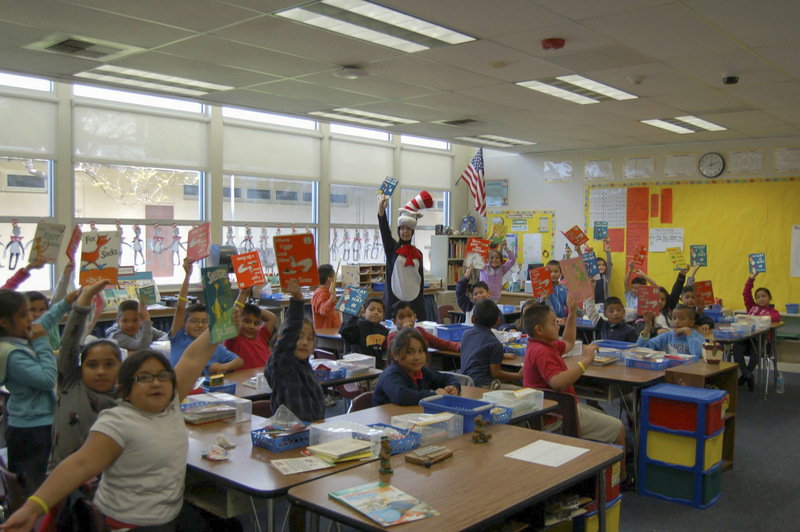 Our first focus would be National Read Across America Day, which takes place on Dr. Seuss birthday March 2, 2015. Since we didn’t receive the grant until January, it meant we really had to get busy. One of the things they wanted do was to also get the community involved. 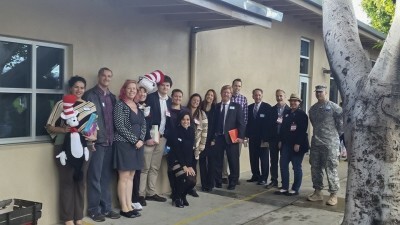 So to kick off Read Across America our friend Monique brought in speakers from all walks of life that went to the classrooms and read a Dr. Seuss book and a book of their choosing to the class. There was a Senator, 2 reporters, a police officer, a chiropractor, a military police officer and a stylist just to name a few – including Justin! The idea was to have children understand that at the end of the day the one thing all of these guests had in common was a love of reading. The grant also allowed the PTA to give each classroom $50 worth of books that the teacher or class picked out themselves. We also wanted to give each student a memento of the day. 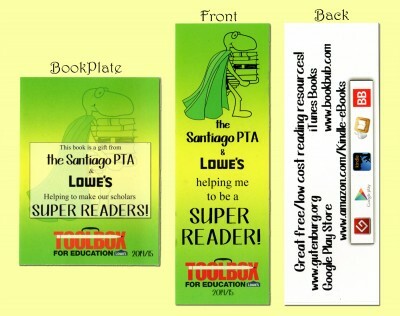 Jenna designed a beautiful bookmark and matching bookplates to go into all of the new books so that years from now students will know how important they are to Lowe’s and the PTA. A bunch of us spent Sunday afternoon putting those bookplates in the books and organizing them for delivery to the classrooms. Everyone brought their kids and the kids spent time counting out the bookmarks and labeling them by teachers. A lot went into pulling Monday off! Monday morning began for the speakers with coffee, juice and baked goods. When the time came for them to go to their appointed classroom, one of the RAK Ambassadors escorted them. Mrs. S had been coached them on small talk the day before. They took their roles very seriously and I think they impressed our guests. 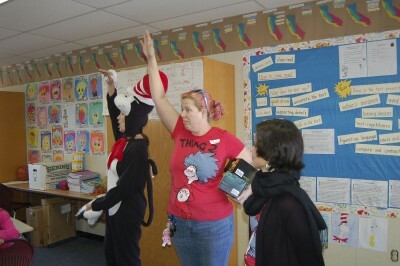 After the guest speakers finished, Jenna and Mo turned into Thing 1 and Thing 2 and I turned into the Cat in the Hat. We spent the day delivering those books to the classrooms and giving the students their bookmarks. I wrote a Dr. Seuss style poem and the students loved it. I was swarmed by Kindergarten and 1st graders who wanted to shake my hand or better yet give me a great big hug. The students and the teachers were all excited to get their new books. 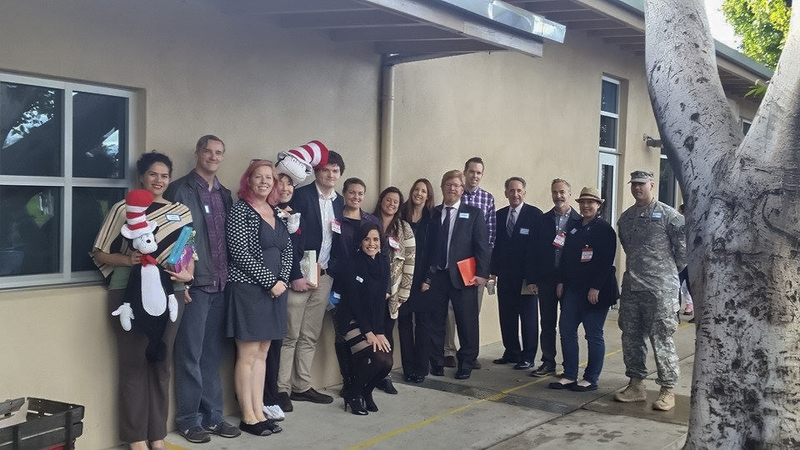 Many of the teachers were spending the day reading and in one classroom they were all excited to share their Dr. Seuss books with me. Last night was our big Book Fair and the PTA collaborated with Barnes & Noble Booksellers to do an online and in store book fair. The online event runs for 7 days and last night was our big in store event. A percentage of all the purchases would go to our school. I went in costume as the Cat again; Jenna dressed as the girl from A Bad Case of the Stripes and Mo was Amelia Bedelia from the book series. We even had Speedy show up – he is the school mascot! Our “Super Librarian” came to read to the students, as did our awesome vice-principal! You can click the pictures to go to larger view. It really has been a wonderful week to be a Grandma and to be the Cat in the Hat! This memory was posted in Volunteering on March 5, 2015 by Grandma Kc. What an amazing feat this was – & to think you pulled it off with just a couple months of planning! Once again, teamwork & dedication of some very important people made it possible. You are all wonderful role models to the students! There have been so many times that I’ve been involved at something at the school and thought “OK, this is the best thing yet.” But there have been so many best things! One of the best parts of this was having so many students call me the Cat in the Hat that week even when I wasn’t in costume. I’m so lucky! I am close by and healthy enough to really be involved. It’s a good life! 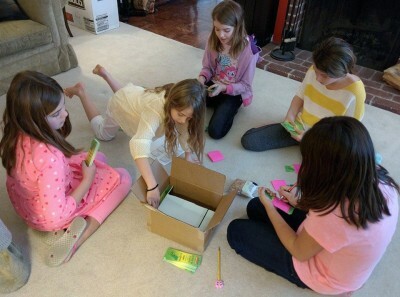 What a tremendous project – one that will go with them through their entire life. They can do anything if they can read! And, you live an opportunity to participate with Amara at her school that I’d have to guess no other grandma in America has; and you make the very best of it. Hats off to Amara’s grandma and the Cat in the Hat. ???? I know that it isn’t likely they will get another grant like this that will allow them to buy all those books but I really hope that next year they bring in the guest speakers again. The speakers really did get as much out of it as the students did. One of them posted about it online and had comments from other business men in the neighborhood that they wanted to speak next time — some of them went to Santiago! Community support is a great thing. And if they need someone to dress up as the Cat I will gladly volunteer! That is one HUGE and fantastic undertaking/project/program/FUN! Loved the recap of the entire thing. You make one FABULOUS Cat in the Hat. So cute. Years from now those kids are going to look back, fondly recalling the wonderful things that took place in their school and the incredible grandma (and Mom Jenna) who put so much work and love into creating memorable educational moments and fabulously fun events. Kudos to you all in making such a difference in the lives of kiddos. There is a part of me who has always wanted to be a school teacher and another part of me who has always loved to act — being the Cat in the Hat was a blast! It was so gratifying to see how thrilled some of those teachers were to get those new books. Jenna really put in a lot of hours gathering the orders from 40+ teachers and getting all of them ordered. It was worth it to see all those smiles! Lots of work but the most fun ever. Unfortunately I seem to have picked up a bug at school so I am spending this weekend recovering — but it was worth it! Totally fun! How could those kids not get excited about reading? I just love that school. There is always something creative going on there. And quite frankly, you and Jenna are almost always right in the middle of it! Such a worthy cause, and one that I know pays off for every child who attends there! You look so cute in the costume and Jenna’s book plates are a wonderful, personal touch! It was a wonderful project and there is lot more to come on that one. There is still money to be allocated to updating the library — maybe some new rugs, new chairs, a new paint job or maybe a mural! I wish more grandparents lived close and could be involved — it does keep me young and active — plus it means I get lots of extra time with Jenna and Amara. What a great project! It’s a wonderful thing to get kids and grownups all working together to pull off a big, meaningful activity. And when all that preparation results in big successes, it’s both fun and memorable. Those kids will not only read, they will be ready to volunteer again soon! Nice work, Grandma/Cat. That’s an amazing project. Happy weekend! It was an amazing day! Big shout out to Mo for getting all these awesome people to come to our school and getting it all planned! It was very much work but well worth it. Mo did a wonderful job and a big shout out to Jenna for getting 40+ teachers book orders organized and inputted! Not to mention all the other things you 2 did! Oh, wow–you really were involved at the school a lot this week, weren’t you? What a great event! Congratulations on the grant! It was crazy busy and I loved every moment of it — except the one where I picked up this cold bug but I am almost over that! Wow! What a fantastic project! I can’t imagine the time and planning that went into creating such a wonderful event. It is such a gift to instill the love of reading in children. You are an amazing grandma and Jenna is an amazing mom. And I agree, you make a fabulous Cat in the Hat! Love you! It was so much fun! 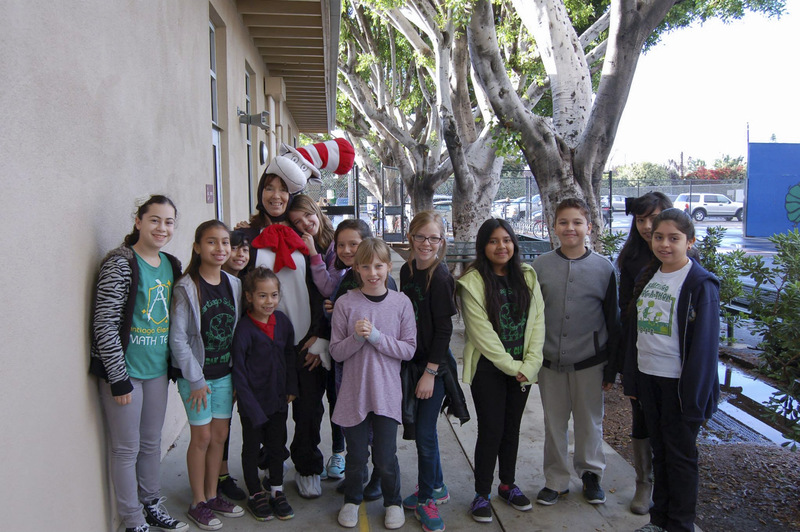 All of the kids were excited but the lower grades – they were just over the top crazy to meet the Cat in the Hat and to shake my hand! In one of the classrooms I was swarmed by almost the whole class trying to give me a hug as I left. It really was a fantastic week and I would do it again in a minute! I almost want to go out and buy a Cat in the Hat costume to wear every year and at Halloween (the PTA rented the one I wore)! It could be my new persona! Love you, too! It’s so great. KC does all the work and all I have to do is be Grampy!!! And you do your job of being Grampy very well! She sure does love you. Ahh, new books, I never tire of them. How awesome for all involved. I am sure you appreciate how expensive they are and how hard they are to come by for the classroom libraries. One teacher was so excited she was jumping up and down. I think all 3 of us had tears in our eyes because of her excitement.